Noah Meets A New Friend (In Real Life) Thanks To Facebook! 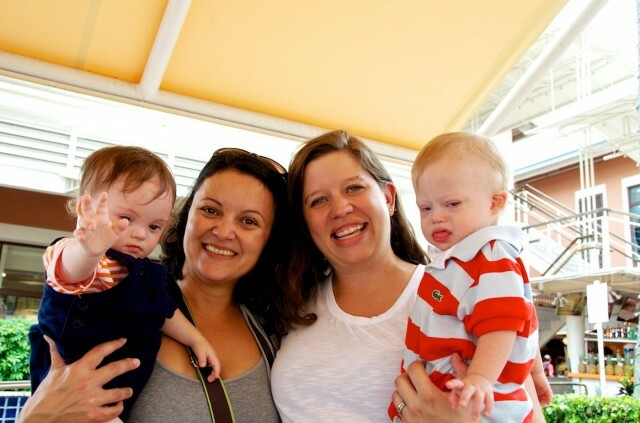 You are here: Home / Family / Noah Meets A New Friend (In Real Life) Thanks To Facebook! We’ve been blown away by the support we have received through our blog and Facebook page. The best part about it is that we’ve been able to connect with people from all over the world. We have our friends down in Australia and Brazil to those who happen to live down the street from us. 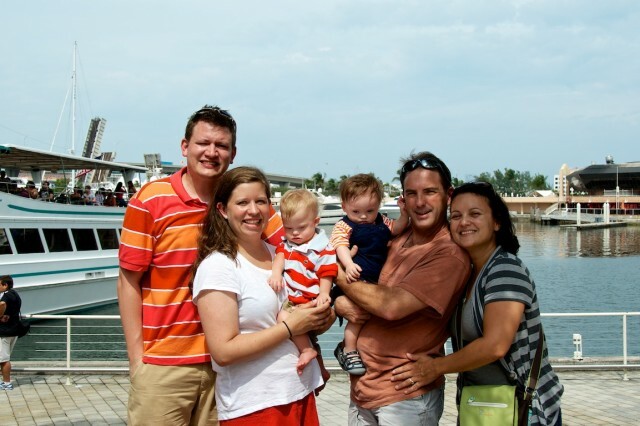 While we were in the Florida Keys, we had the pleasure of meeting another family we have connected with thanks to the internet. We met up in Miami at an outdoor mall that just happened to be playing some awesome music. Enzo definitely showed off his dance moves. One of the cool facts about this family is that they have since gone on to start their own awareness about Down syndrome in their own way. 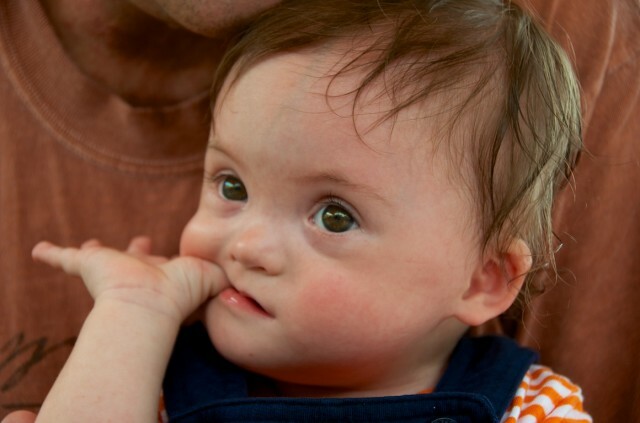 Enzo’s Entourage is a twitter feed that gives updates about Enzo and what he is doing, as well as fun facts about Down syndrome. You can also follow them on Facebook and Instagram. They may even inspire you to start running as I think they are involved in races every other weekend. It is also very cool to see Enzo at swim lessons where he is working on his abs of steel, as well as swimming under water! It makes me want to get Noah in some swim lessons this summer. 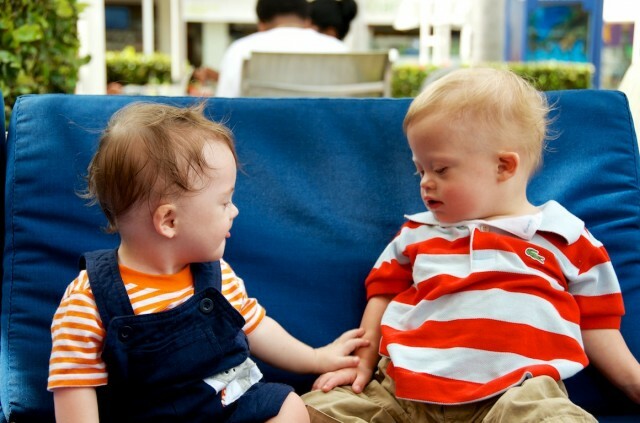 It is just another way families like you are helping others understand more about Down syndrome. You have heard us talk about how important your story is, and how your story can touch someone else’s life. The internet is a big place and while you may not feel a connection to our story, we hope you find a connection somewhere. You may find another story that is similar to yours and build relationships despite being miles a part. This journey is so much more fun when you realize you are not alone but that other people are out there going through similar circumstances. You can get ideas, be inspired, and may even learn something new. 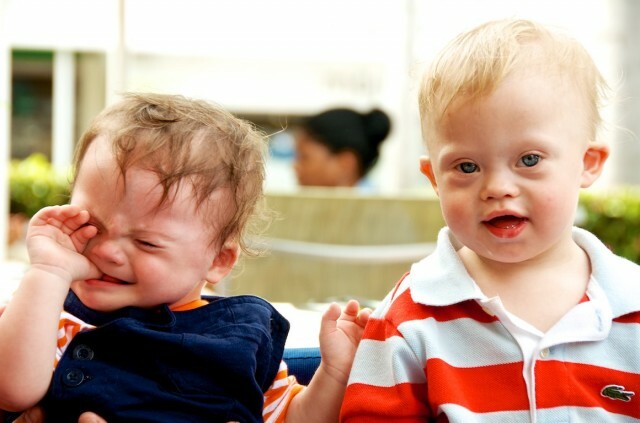 We have complied a list of Down syndrome blogs for you to check out and meet other families raising children with Down syndrome as well! Hopefully that was not the last time we see Enzo in person, but for now it was a brief visit. I think next time we should go to Disney World.